At the beginning of January I set myself a few goals that I wanted to hopefully achieve by the end of 2016. So for today's blog post, I thought I would take a look back on that particular blog post...which can be seen HERE...and look back just to see how well I have done with the goals so far. Get Provisional Driving License: I finally got this a few months ago, it was a late birthday present from my sister and brother-in-law. Now I just need to put it to good use and do some driving lessons and hopefully pass. Start Driving Lessons: I have still not got round to doing these yet, as we are still working all money out and what spendable income we have to play about with. My sister is currently training to be a driving instructor though, so I'm gonna wait a bit and then pay her to teach me how to drive haha. Eat Healthily & Drink More Water: I'm kind of half and half with this one as I'm definitely drinking more water and eating more fruit at the same time. I purchased one of those water bottles with the bit inside to put fresh fruit in, so once I've finished the water I then go on to eat the fruit (which is usually strawberries). I'm also not snacking as much during the day either but when I do it's usually a Special K breakfast bar that I have. Read 1 Book Every Month: This is one goal that I have definitely managed to keep up with, I've really enjoyed getting back into reading as I find it really helps me to relax before going to sleep of a night time. If your a fan of James Corden and haven't yet read he's autobiography then I would definitely recommend you to as it is brilliant! Gain Confidence & overcome Anxiety: I'm a bit torn in two when it comes to this goal, my confidence is getting there slowly but still not as much as I would of liked it to be by now. As for my anxiety I'm really happy with how this is going so far, for example: A few months ago I would of made every excuse to get out of going to barbecues and events like bowling. But the last few months I've pushed myself to do these things and now no longer get anxious about them instead I enjoy them. Move Back Closer To London/Kent Ways: This particular goal happened a lot sooner than we ever expected it to. The original plan was to move back in September/October 2016, when in fact it happened in March 2016! We found a house that was 10 minutes away from our family so that is what you call a bonus. It's been hard having to adjust to the rental prices down here as in Wales we was paying £500 a month for a 2 bed house where as in London we are paying £1300 a month for a 2 bed house, big rise in rent haha. A trip back to Wales has already been planned for nearer to Christmas, we are gonna go do some shopping up there and then go and visit our old neighbour and her 3 kids. 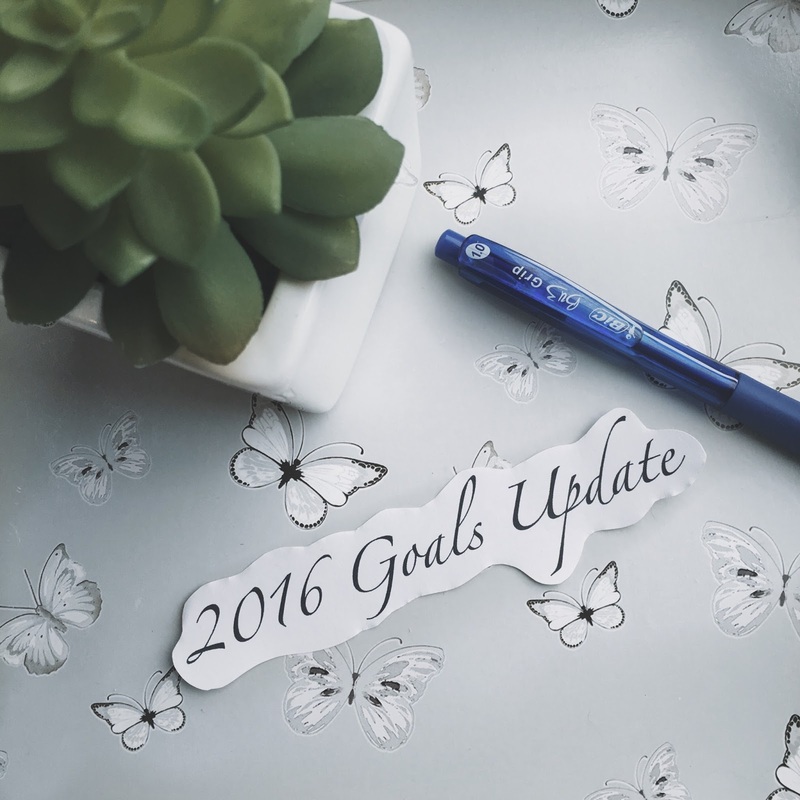 How are you all doing with your 2016 Goals? Also would you be kind enough to help me reach my goal of 100 followers on BlogLovin'?